Robyn Vilate: hues of blue. oh hey utah, remember that one time when you decided to be 65 degrees and make me feel like it was warm enough for skirt weather, then play with my emotions and snow the next day? it was a complete fake out but at least i got to wear my skirt and flats for a day! i hope you have warmer weather wherever you may be! Pretty combo! The necklace matches perfect with the skirt. Oh goodness.. This outfit is lovely! Love this classic look!! That skirt is super cute. 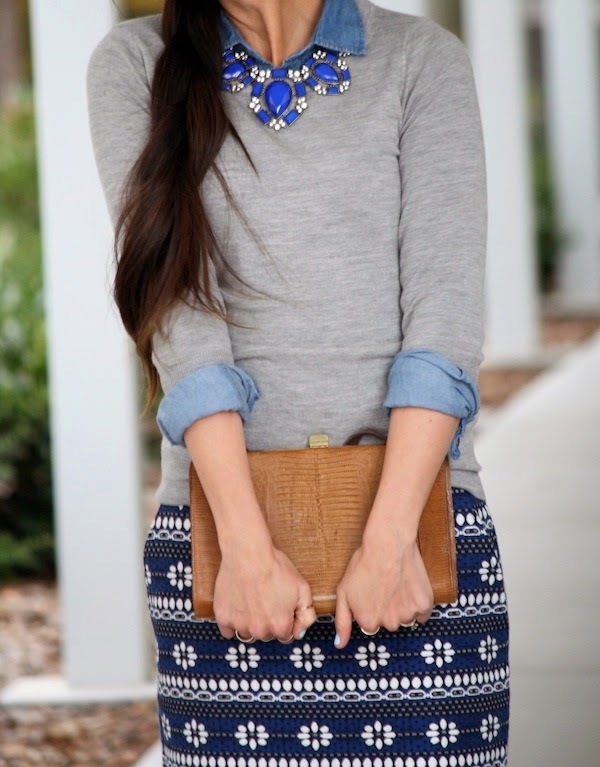 Love that skirt and statement necklace! So pretty! Long hair is out, short hair is in!